Locate the small village of Gusswerk on Hwy. 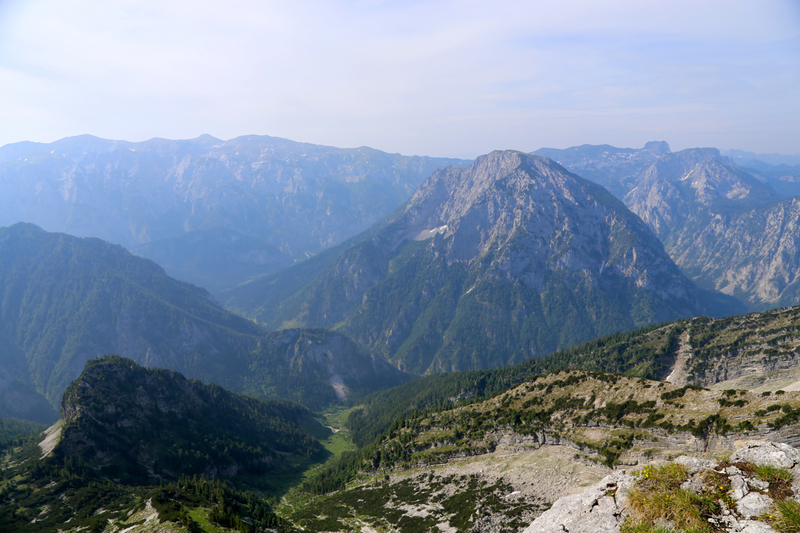 20, a short distance south of the somewhat larger town Mariazell. Take Hwy. 24 going SW from here. Drive 17 kilometer. You will pass the small village Greith, then locate a sign pointing right saying Rotmoos. Turn here, drive until a T-junction (very short stretch). This is the trailhead, however, the local farmer does not approve of parking. Either park on the right hand side of the road a bit earlier, or look for sensible parking by turning left in the T-junction and proceed perhaps 100 meter or so. 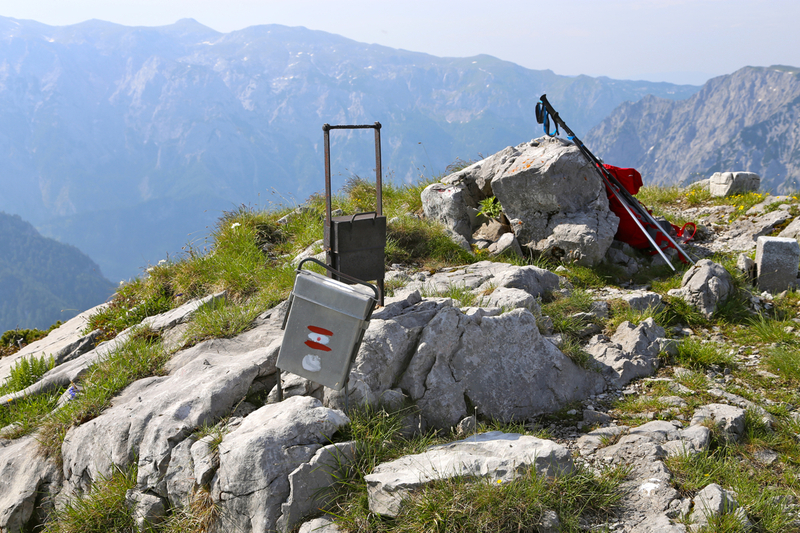 The trailhead is at location N47.68779, E015.07510, elevation close to 700 meter. The trail now follows a pretty obvious line in order to reach the main crest. 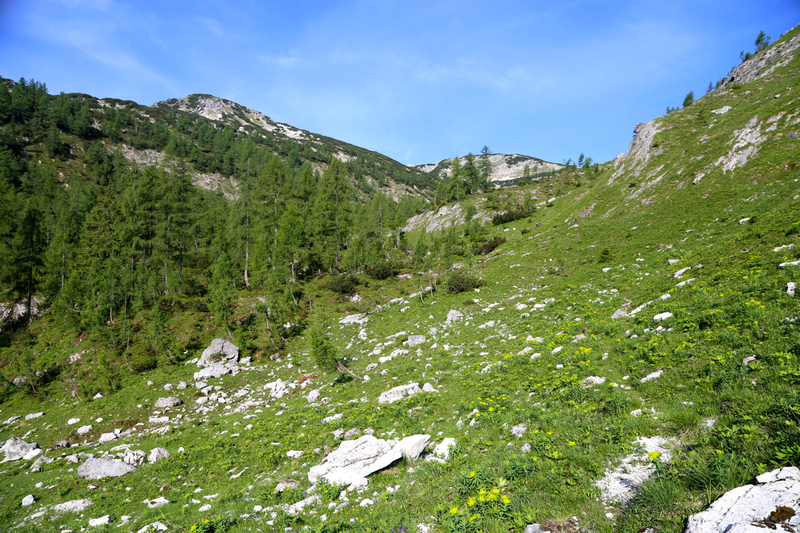 The forest gets thinner and nice grass and small alpine valleys take over. You will see the peak up on your left as you arrive at a final trailfork (another route from the north). Head up the hillside to make what appears like a ridge, avoid the low pine forest on your left. 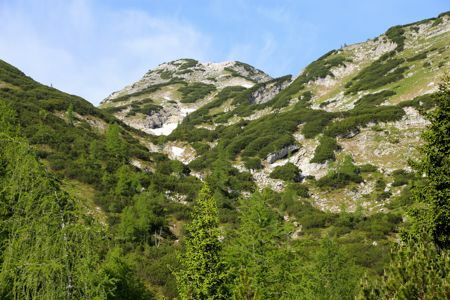 Follow the trail as it climbs slightly steeper in zig-zags to make the summit plateau. 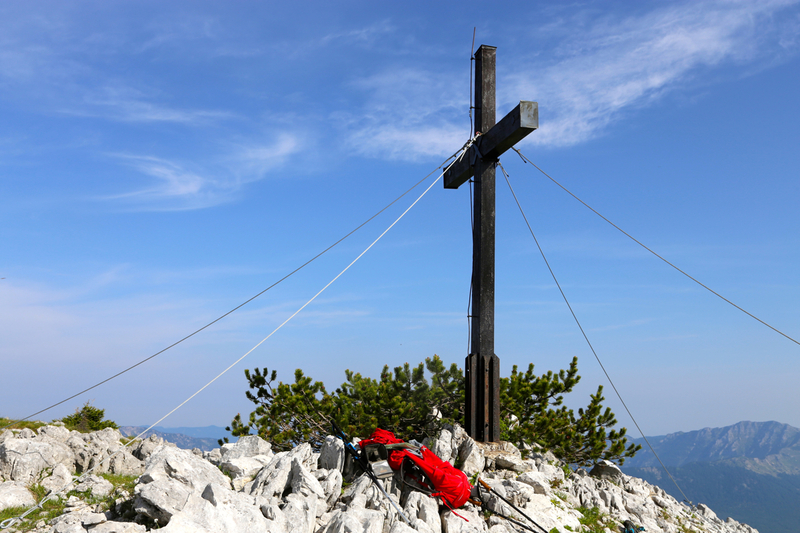 Note that the summit cross is located a bit right while the true highest point is at the very end of the ridge (further left). There is a nice summit register at the top. My flight into Linz was late, arriving 2230. The lady at Europcar was very friendly and service oriented despite my late arrival. 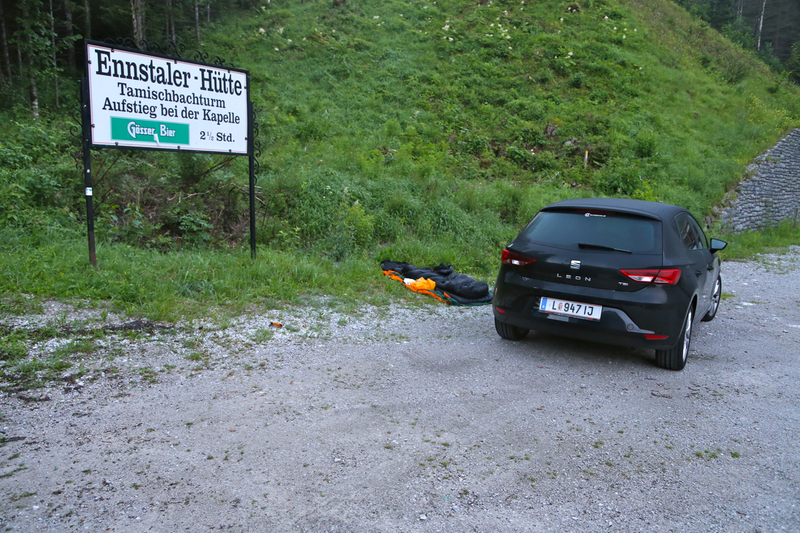 I decided to drive to the place I parked when I climbed Grosser Buchstein last September, arriving there around 0030. The sky was filled with sparkling stars and even a few shooting stars flashing across in a hurry. Perfect and convenient way to sleep. I watched the sky for about 5 minutes before sleeping deeply. I woke up before 0500, the place looked different - full daylight! I drove to the trailhead and set off at 0615. The day was nice, but I quickly felt that it would be hot. I carried no water and there was no water along the route, so a bit thirsty. Arriving at the summit at 0850, two women were already there. They had started north and used a different trail. I walked across to the highest point and signed the summit book. The view was nice, but with haze and not good for pictures. I rested until 0920 before heading back down. 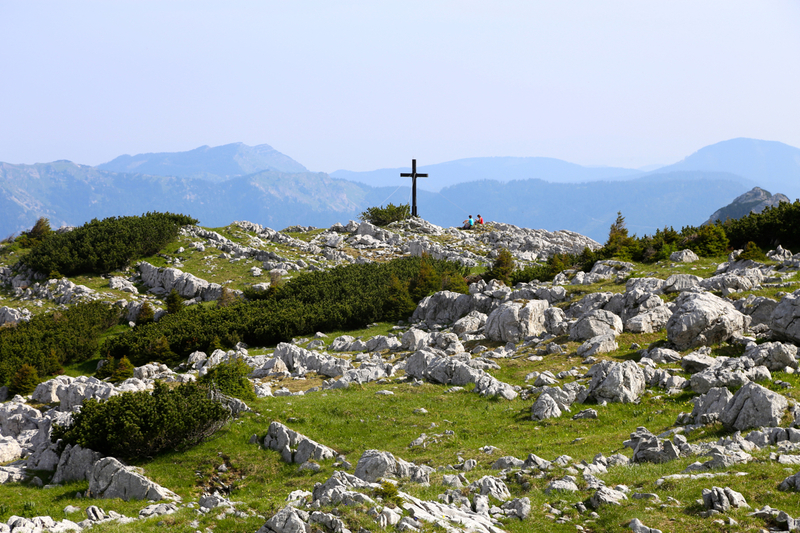 I actually met surprisingly many on my return hike, so this peak is quite popular among local people. Back at the car at 1130. The local farmer was now awake and told me that I had parked on his land. He could not make up his mind, spoke about "polizei" as well as of the nice Hochstadl - I told him I had been there. I apologized in rough German (he did not speak a single word of English! ), He was not completely happy - wondered about how my car could be Austrian when I told him I came from Norway. Never mind, I told him goodbye and waved my hand as I drove off.